AGAR ISSE SASTE ME ITNA DEVELOP TURANT REGISTRY AUR KABJE KE SATH PLOT MILE ISKE AASS PASS TO HAME CALL KARNE KE BHI ZAROORAT NAHI HAI. OFFER SIRF 15 JUNE TAK. 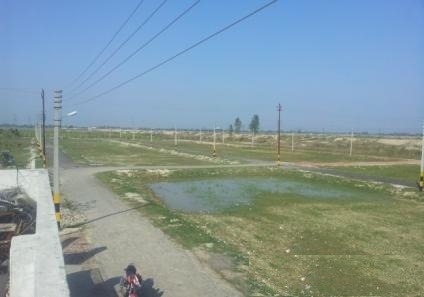 PLOT FOR SALE AT INDRA CANAL, DEVA ROAD, LUCKNOW. PLOTS are Available @ 425/- RS./SQ.FT. AGAR ISSE SASTA MILE TO 50 RS./SQ.FT DISCOUNT. .PLOT . SIZES 1000, 1250 & 1850 SQ. FT. HURRY UP ! BOOK YOUR DREAM HOME IN JUST 50000/-RS. ONLY. OFFICE ADDRESS: 3/22 Vinamr khand Gomti Nagar Lucknow.